Michael van Gerwen says reaching the final of the World Grand Prix will mean nothing if he fails to defeat Peter Wright in the Dublin showpiece finale. Mighty Mike has been in scintillating form so far this week in the Irish capital, with his latest display seeing him sweep aside reigning champion Daryl Gurney 4-1 in a one-sided semi-final. That win set up a showdown with Wright, who came from three sets down to defeat Mesnur Suljovic 4-3. 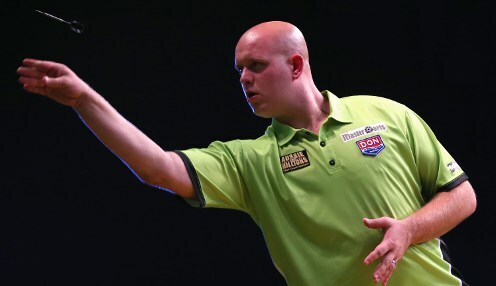 Van Gerwen told the official PDC website: "I have to win tomorrow (Saturday), it's as simple as that," said Van Gerwen. "Reaching the final means nothing if you don't win it, so I am focusing on everything I need to do right tomorrow. Van Gerwen already has three World Grand Prix titles to his name, securing victories in 2012, 2014 and 2016, while he was beaten in the 2015 final by Robert Thornton. He can be backed at 1/6 to defeat Wright, who is 4/1 to beat the Dutchman and claim only his second major title - with his first having come at the 2017 UK Open. Snakebite has lost in seven major finals to date, with five of those reverses coming at the hands of Van Gerwen.